Lance Henriksen (born Lance James Henriksen) in an amazing actor who has played an android, psycho vampire gang leader and as Frank Black in the cult classic Millennium (1996). Henriksen's Frank Black performance was so good that he was nominated three consecutive years for the Golden Globe's "Best Performance by a Lead Actor in a Drama Series." 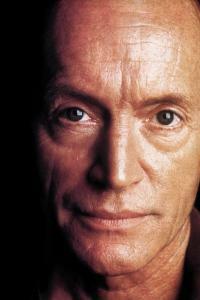 Lance Henriksen was born in New York and studied at the Actors Studio. His first role was played on Broadway in Eugene O'Neill's "Three Plays of the Sea." Lance first appeared in a sci-fi movie with Steven Spielberg's Close Encounters of the Third Kind (1977). The following year Henriksen ventured into the horror genre with Damien: Omen II (1978). James Cameron cast Lance Henriksen as the android Bishop in the sci-fi classic Aliens (1986). Lance Henriksen is a big favorite here at HellHorror.com, we really appreciate his work.